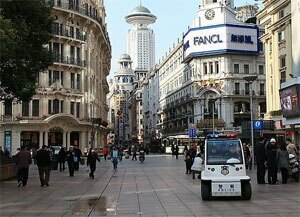 Nanjing Road is one of Shanghai&apos;s famous shopping streets and was one of the best built and busiest roads in the 1940’s. The road stretches from the Bund east towards Hongqiao, with Shanghai&apos;s centre point People&apos;s Square in the middle. The Nanjing Road history can be dated back to 1845 and it was known as “Park Lane”, which was from Bund to the He’nan Road. 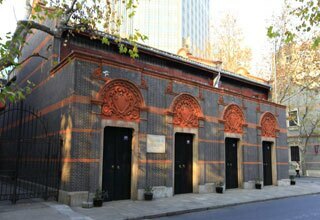 In 1854, it was extended to Zhejiang Road. In 1862, it was given a new name “Nanking Road” by the Municipal Council, which administered the International Settlement. In Chinese it was usually referred to as the Main Road. Around 1930 it was a bustling street with some casinos. After World War II the government changed its name from Nanking Road to "East Nanjing Road", meanwhile they also renamed the former Bubbling Well Road "West Nanjing Road", and the general name of the two roads became "Nanjing Road", comprising five kilometres in total length. In 2000, as a part of the development plan held by the local government, Nanjing Road was renovated to be a characteristic pedestrian street. The width is about 28 meters and the total length is 1,200 meters, which extends from Middle He&apos;nan Road to Middle Xizang Road. 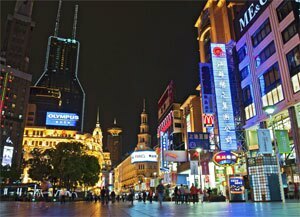 Nanjing Road is the world&apos;s longest shopping precinct; it is around 6 km long, and attracts over 1 million visitors daily. 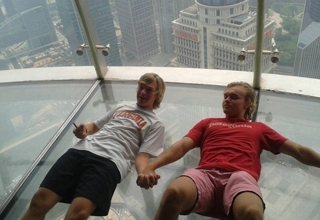 Nanjing road consists of two parts - East Nanjing Road and West Nanjing Road. East Nanjing Road is committed a commercial zone. In the west part of precinct was traditionally the hub of European-style restaurants and cafes, but in recent years some other buildings were constructed in this area, it has become less of a feature as the demographics of visitors to Nanjing Road have shifted from affluent local residents to visitors from around the country. Close by is the Central Market, a century-old outdoor market today specialising in electronic components and digital media. Further west is the Nanjing Road pedestrian mall. 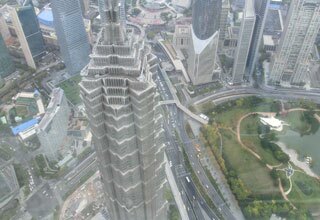 Located there are most of Shanghai&apos;s oldest and largest department stores, as well as a variety of domestic retail outlets, and some traditional eateries with a long history. West Nanjing Road, near Jing&apos;an Temple, has witnessed constant development over the past ten years. This area consists of several five star hotels, upscale shopping centres, restaurants and office buildings. Recently, the area has benefited from the construction of Subway Line 7, connecting with Line 2 at the Jing’an Temple station. The latest development there was the completion of the Wheelock Square building in 2010, with 58 floors and just over 100,000 square meters of prime office space.